Smart home features can extend as far as your lawn does. Most people associate smart home features with devices that go in-home for security or entertainment purposes. 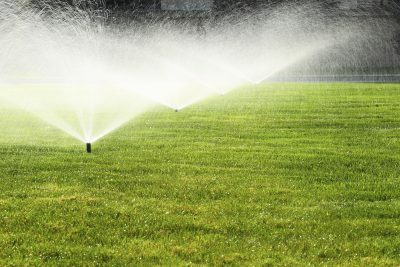 Outdoor automation has been made possible as well though, and if you have some serious landscaping needs, investing in a smart sprinkler is a great way to keep your outdoor space maintained and looking great. A smart sprinkler system can determine how much water your lawn needs depending on the weather forecast. It’ll cut down on water if a storm is expected, saving you a whole lot of money in the long run. One of the cornerstones of effective smart technologies is that they are respondent and reflexive, and a smart sprinkler system will respond to any weather coming your way. Some outdoor automation smart sprinklers are also capable of integrating with your other smart home systems. For example, you could integrate your smart home sprinklers with your smart thermostat. This could be useful in the case of a house fire. Your sprinkler would turn on and aim at your home to help prevent the spread of the fire. It could also be possible to integrate your security system so that your sprinklers will stop if it senses you are coming home. Outdoor automation has only recently started to ramp up in attention. Some companies are experimenting with smart tech for your pool or pond to reduce the amount of maintenance the owner has to deal with. There are also plenty of outdoor lighting options already available, but more integration is always better. Plus, there are a ton of robotic lawnmowers already making headroom in the European market and are expected to come to the United States soon. Ready to add outdoor automation features to your home? Integrated Technologies Group has the expertise and great prices to make it happen. We have been providing Maryland residents with top-notch home theater services, home security services, and home automation services for over a decade. We work throughout Maryland, Pennsylvania, Virginia, Delaware, and West Virginia. Ready to get a quote to make your smart home dreams a reality? Give us a call at 1-800-560-3280 or visit us online. For more informative articles, follow us on Facebook, Twitter, Pinterest, and Google+. This entry was posted on Wednesday, March 29th, 2017	at 4:39 pm	and is filed under Outdoor Automation	. You can follow any responses to this entry through the RSS 2.0	feed. Both comments and pings are currently closed.